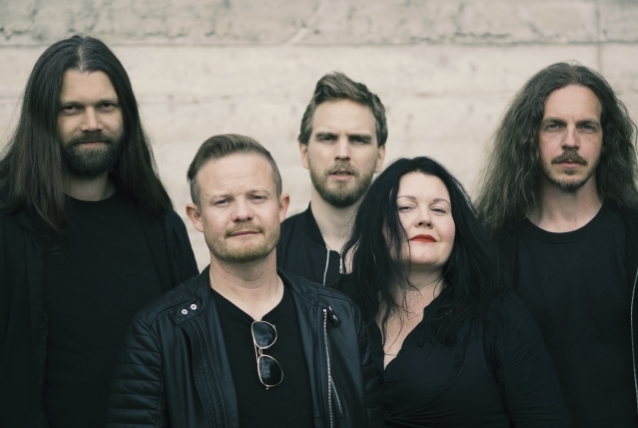 Norwegian alternative metallers MADDER MORTEM have released a music video for the song "Far From Home". The track is taken from the band's seventh full-length album, "Marrow", which is due on September 21 via Dark Essence Records. The symbol-laden clip was created by the noted Romanian artist Costin Choireanu. 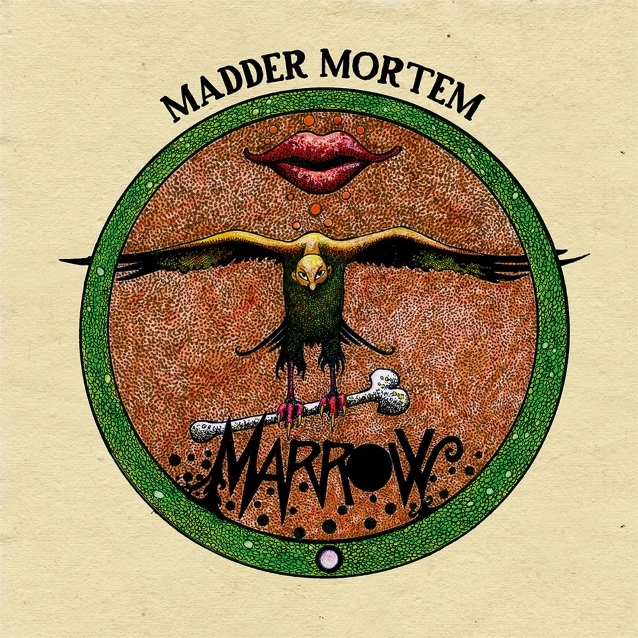 According to MADDER MORTEM, "Far From Home" "grew out of an early morning's vocals idea, and into a very MADDER song. Everything we love is here: contrasts and melody, fragility and heaviness, anguish and hope. The lyrics are about a long night's uneasy journey into day, about the gut-wrenching worry that rides on the back of truly caring for someone." Regarding the video itself, and the collaboration with Chioreanu, who has a long-standing history with Dark Essence Records and the Norwegian music scene, MADDER MORTEM went on to say: "When we approached artist Costin Chioreanu about creating the video for 'Far From Home', we gave him the music, the lyrics, and otherwise an absolutely free rein. The result is his unique interpretation of the song and the feeling, and when we first saw it, we were all tearing up. Costin gave the song another dimension, and we are so grateful to him for expanding our music into the visual realm." "Marrow" sees MADDER MORTEM hungrier and heavier than ever before. The eleven-track album is complex, covering a wide variety of genres and sounds that range from moments of folk/prog to avant-garde. From delicate ballads to harsh metal. Agnete M. Kirkevaag's dynamic and immensely powerful vocals, are, as always, at the fore on an album that is more doomy than its predecessor, "Red In Tooth And Claw", as well as being at times both heavier, and catchier. "Marrow" is about "sticking to the essence of yourself. Your ideas, your thoughts, your values". It was produced by BP M. Kirkevaag and mastered by Peter In de Betou at Tailor Maid. With artwork by the legendary artist Thore Hansen, "Marrow" will be available in digipak CD, digital, and limited-edition green vinyl gatefold LP formats.